The massive new Re:Action toyline revealed, now with pics! We had known Funko was planning a new toyline called Re:Action, and we knew it included Firefly, Buffy and other cult favorite franchises. What we didn't know is what would be released first. As it turns out? Sixty figures are coming in July, including toys from Goonies, Pulp Fiction and more! Before you read the ridiculously long list of series and characters, two things you need to know: The first is that these figures, at least the few that we have pictures for, are in the classic, 3 3/4-inch 1980s Kenner Star Wars style — chances are all the figures will be like that. I'm sure some of you were hoping for more realistic figures, but I actually think for a lot of these series — Goonies and Back to the Future especially (and actually Buffy, if only because Moore Action Collectibles released a perfectly fine realistic Buffy fine in the late '90s/early '00s) — work really well in this style. Now, is it going to be a bummer if this is the only Firefly action figures we receive? Sure, kind of, but there's nothing to say that Funko won't release a new Firefly toyline later. 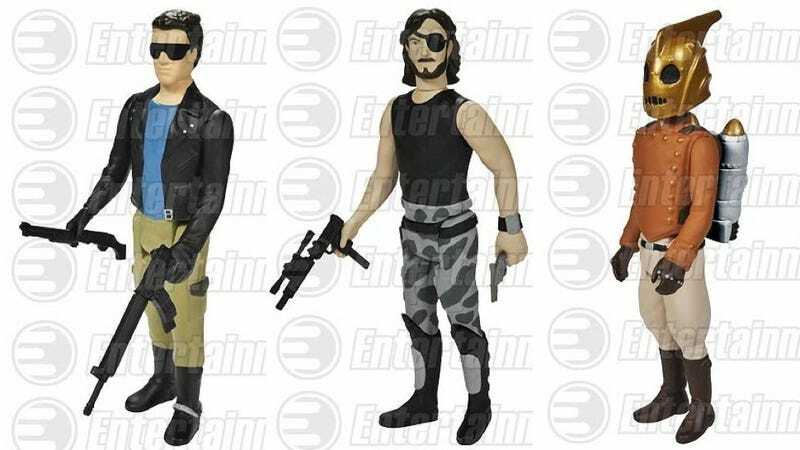 You can pre-order of these guys over at Entertainment Earth, as well as check out other figures from the Terminator, Nightmare Before Christmas, and Escape from New York lines.